Four Kidnapped victims have been rescued by men of the Anti-Kidnapping Unit of the Rivers State Police command. The victims who are lecturers were said to be returning to Port Harcourt from Abia State when they were ambushed around Imo River by unknown gunmen along the Port Harcourt-Aba expressway. Briefing newsmen at the command’s headquarters in Moscow road, the command Spokesman, Nnamdi Omoni said the victims were rescued in a forest in Obibi community, Etche Local Government Area of the state. 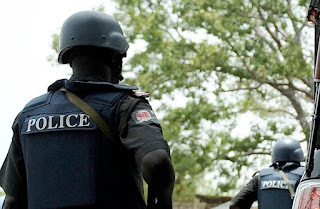 Omoni, a Deputy Superintendent of Police, said the rescue operation was led by men of the commander of the Anti-Kidnapping Unit, CSP Edward Shadare. He added that two of the kidnappers were fatally wounded during a gun duel with the Police. According to him, “It was a breakthrough for us because those boys have been terrorizing that axis of Aba road. We will continue to haunt them until they change their ways. One of the rescued victims, Henry Ogbeson while narrating his ordeal said, “We were driving from Aba to Port Harcourt only for 4 young men to emerge from the bush with pump action guns. We stopped and they diverted us into the forest, blindfolded and tied. “We did not know where they were taking us. We drove for some time on a motorcycle until we got to a certain place.